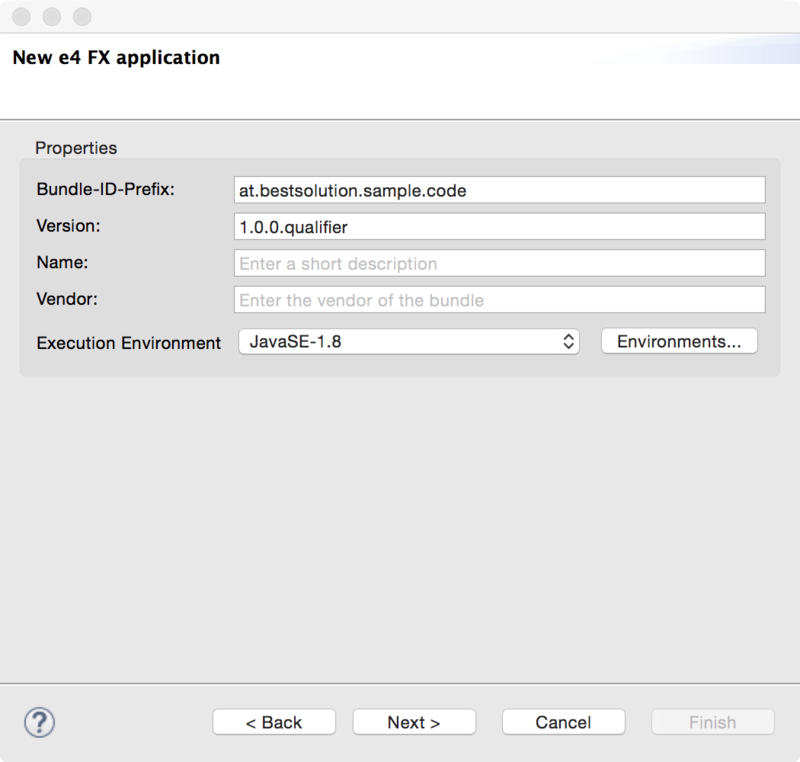 You’ve chosen e4 and JavaFX as the technologies to implement your cool rich client application. Congrats! 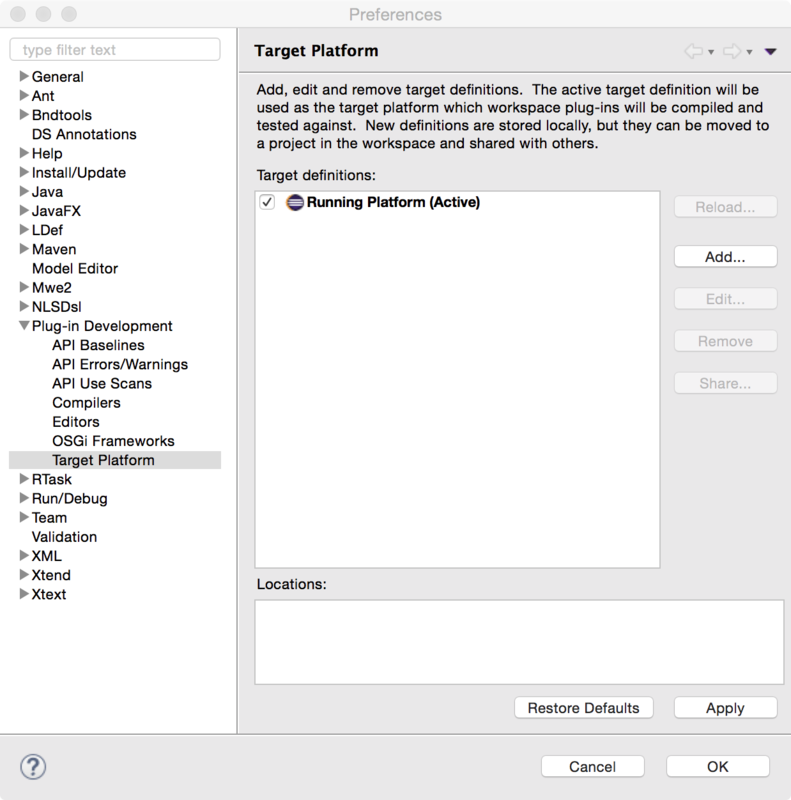 In the first iteration you’ve implemented all the form UIs you need in your application which you made flashy with the help of CSS, animations for perspective switches, lightweight dialogs as introduced in e(fx)clipse 2.0, … . 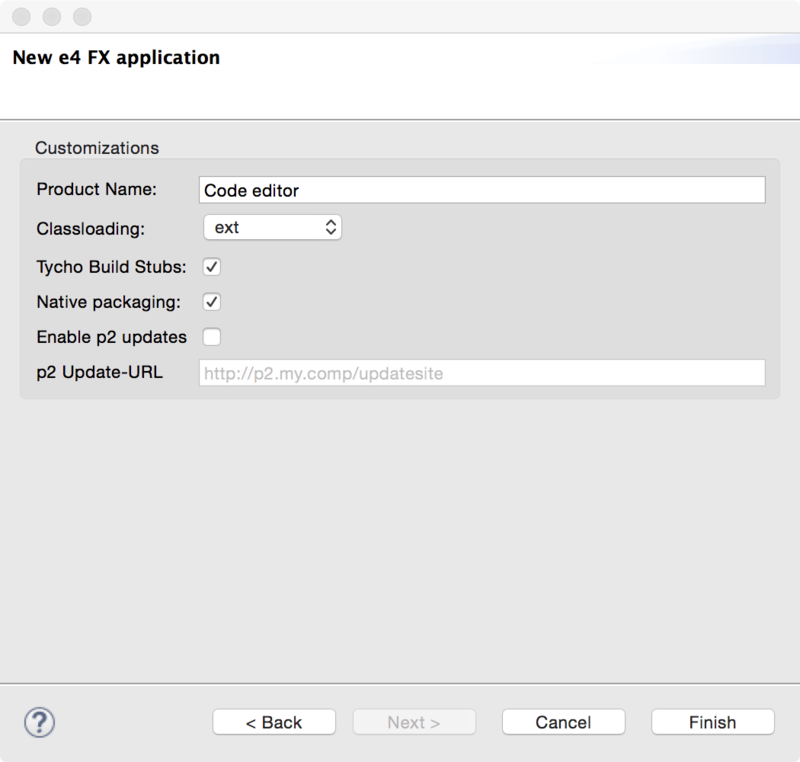 As of this writing e(fx)clipse 2.1 has not been released so you need to grab the nightly builds eg by simply downloading our All-in-One build. 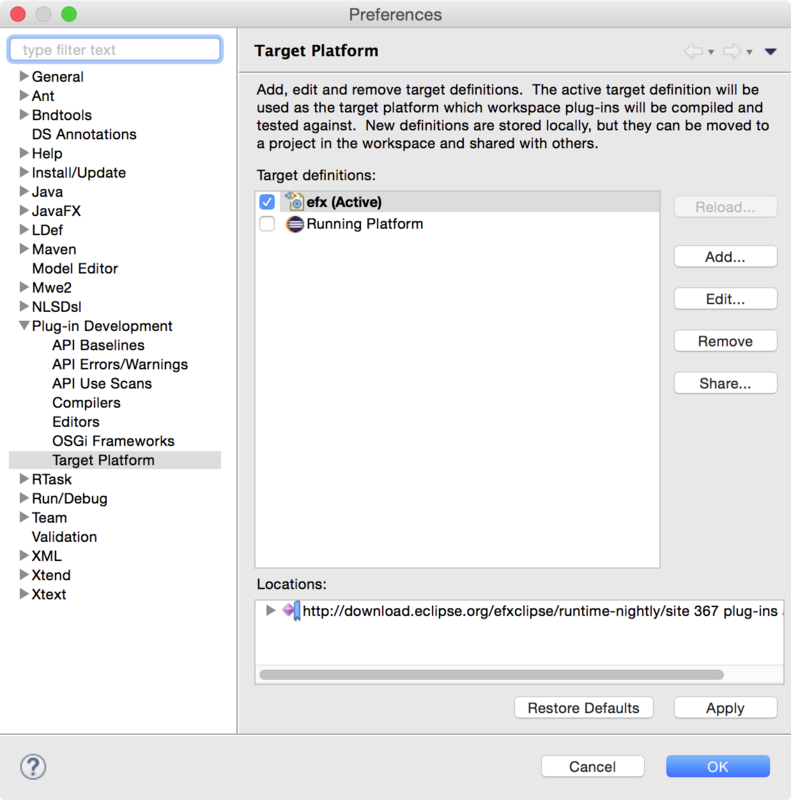 We have a self-contained target platform feature (org.eclipse.fx.code.target.feature) available from our runtime-p2 repository to get started super easy. 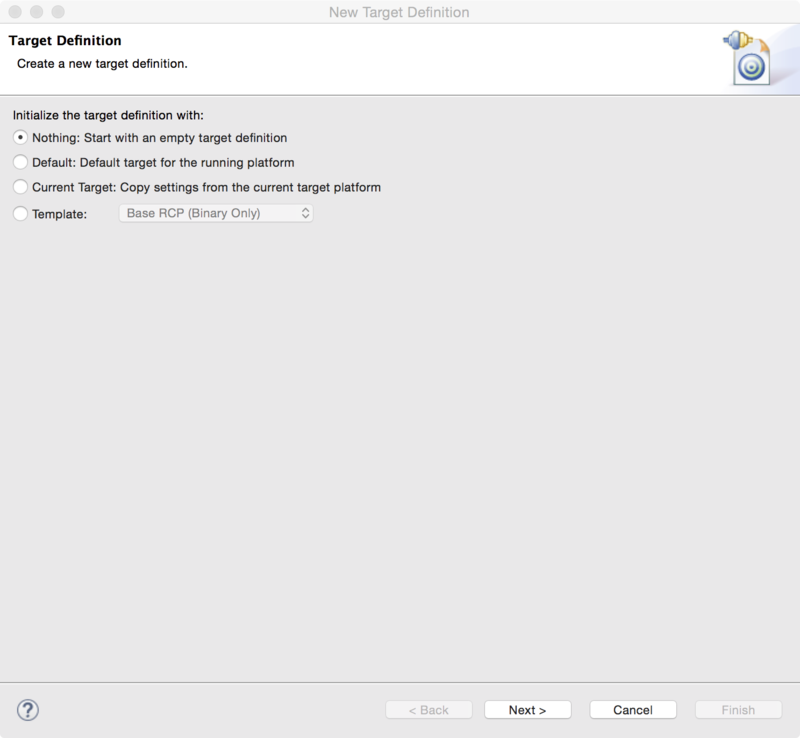 Warning: Make sure you uncheck “Include required software” because the target won’t resolve if you have that checked! 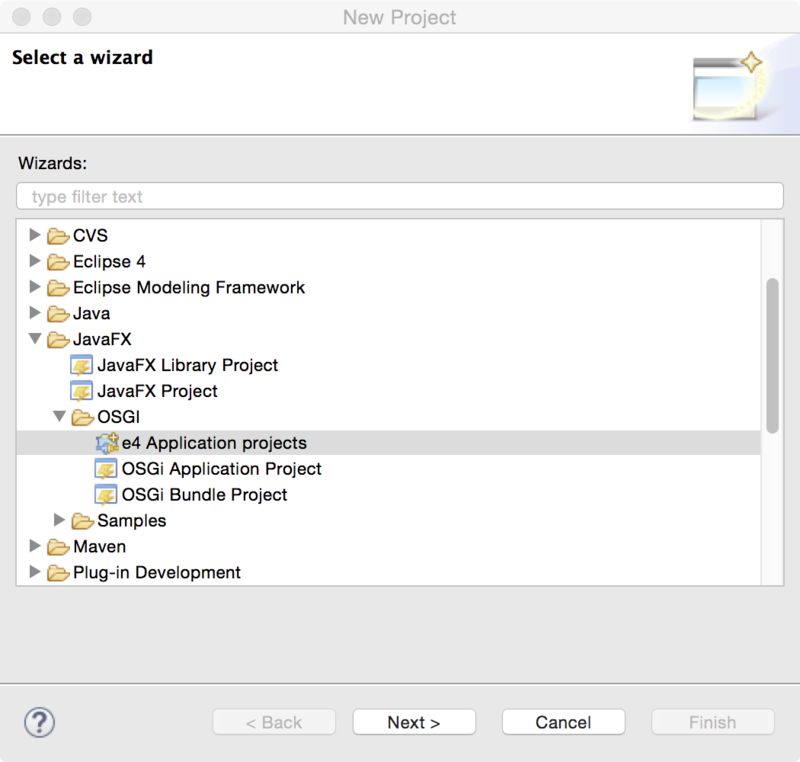 The project setup is done like you are used to for all e4 on JavaFX applications. 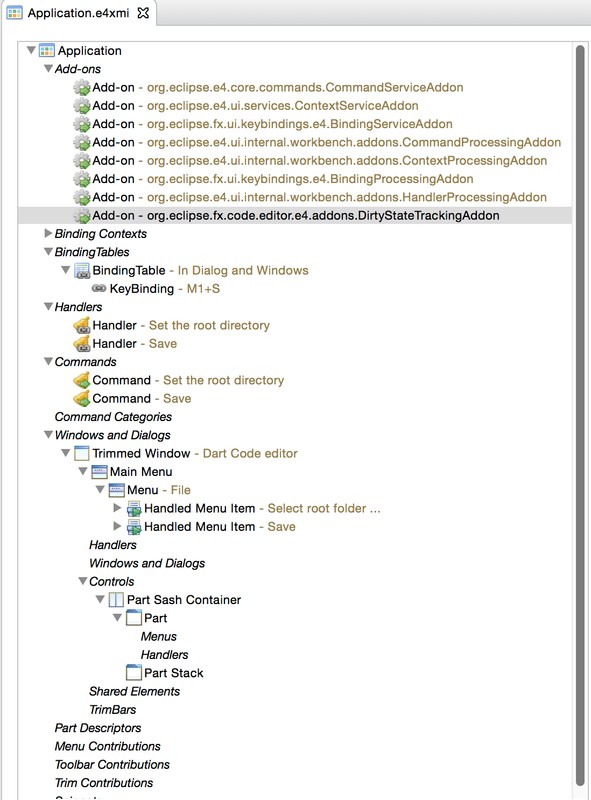 For export reasons also add all those bundles to the feature.xml in at.bestsolution.sample.code.app.feature. 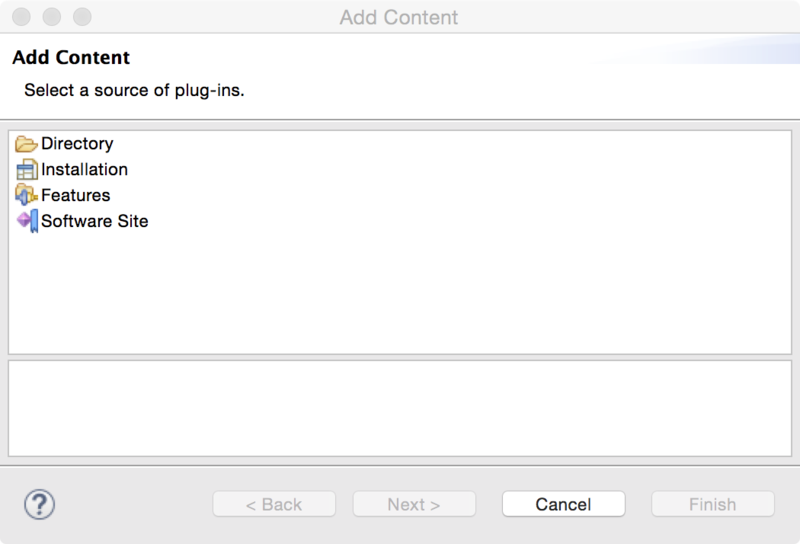 I won’t explain the details of the dart.ldef-File because there’s already a blog post with a detailed description of the file. In contrast to the last blog where we’ve run our stuff in an NONE-OSGi/NONE-e4-world where we had to wire stuff ourselves this is not needed this time because the Eclipse DI container will take care of that! 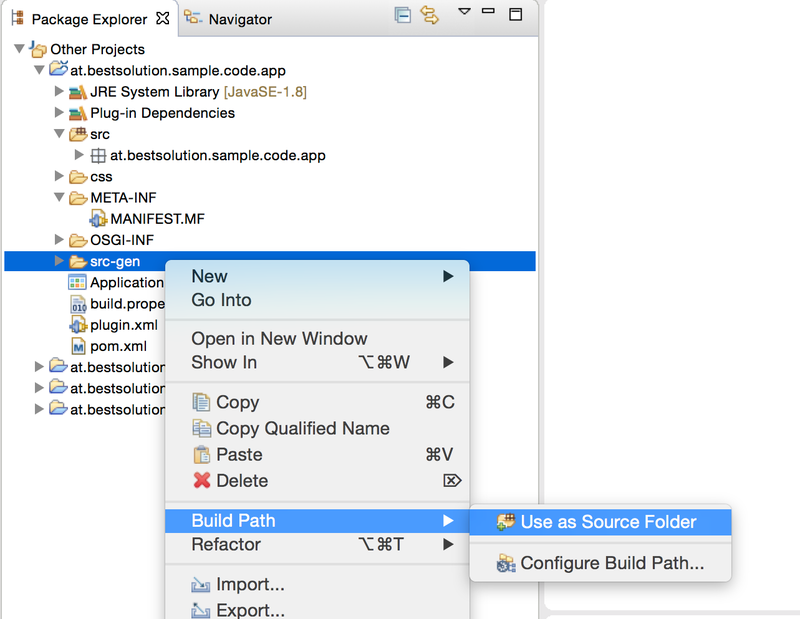 Now you can launch the application with the already generated Launch-Config. 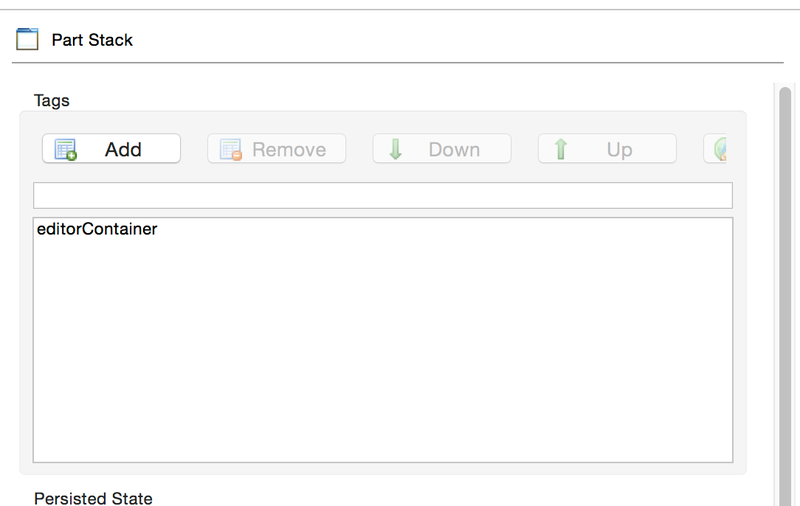 Afterwards use the Menu-Entry (“Select root folder …”) to set a root directory who contains dart-Files and double click on one of the files. 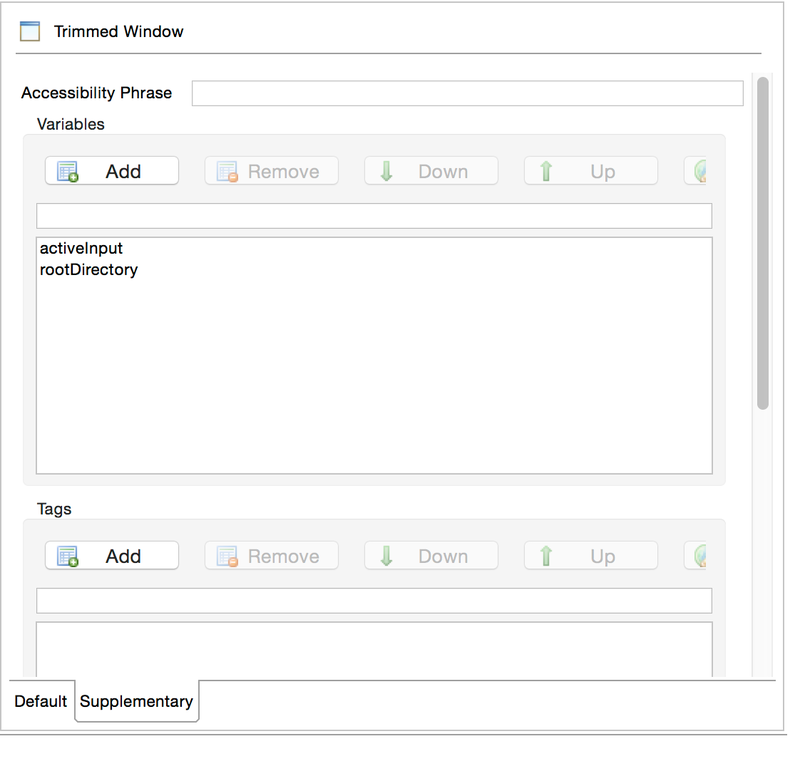 WARNING: These versions of JavaFX Scene Builder May include components That do not Contain the latest security patches and are not recommended for use in production. And I make an application thought for my work and I was thinking about JavaFX, but if I could not use in production then have to change technology for user interface. Someone might comment I would greatly appreciate it. 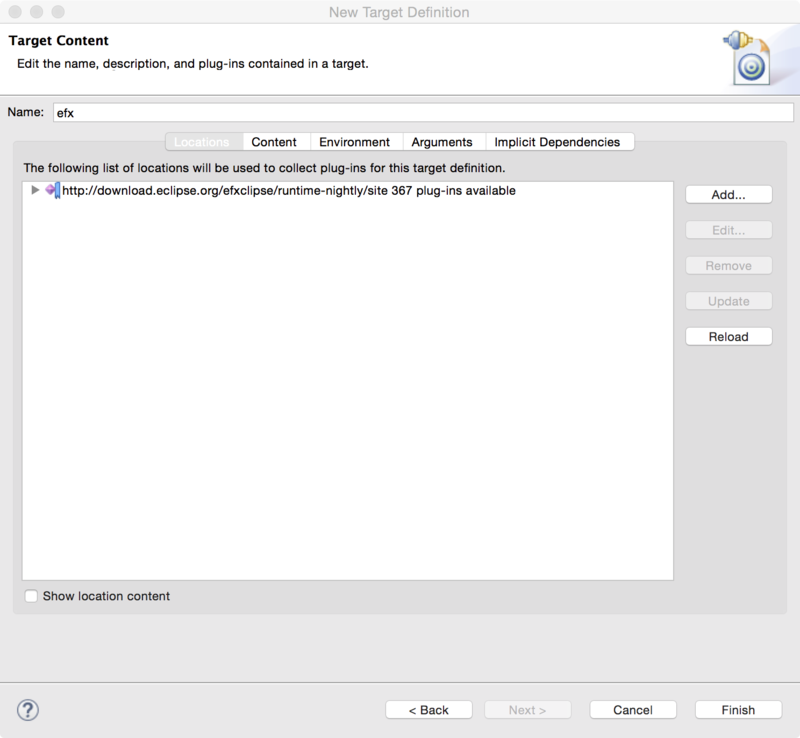 hello tom, what i need to do if i want to do the same with groovy i mean creating a javafx groovy editor in eclipse e4 application. 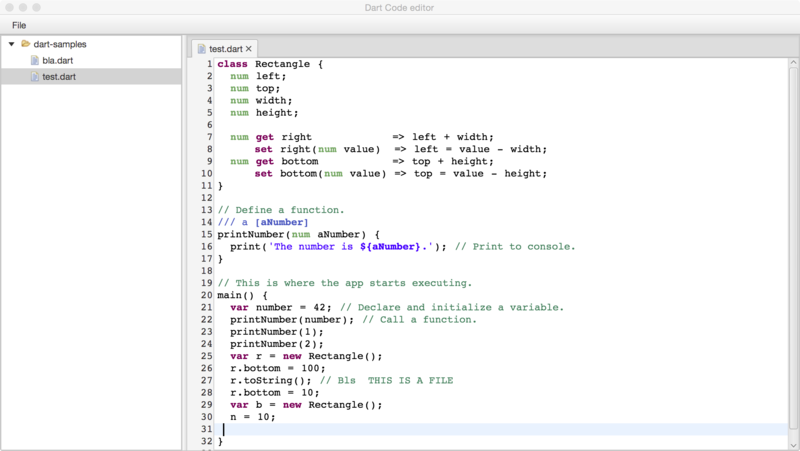 hi tom, i followed this tutorial and i obtained a dart code editor but when i add parts to its in the application model ,the changes in the user interface are not being reflected. is this editor intended to stay in this form ? ?